With a side zip, the Swift athletic shoe is easy to slide on and off. The double-depth shoe has two removable footbeds for a perfect fit, and to easily accommodate your custom orthotics. A dual shank system and firm heel counter work together for the support and stability you need to stay on your feet longer. 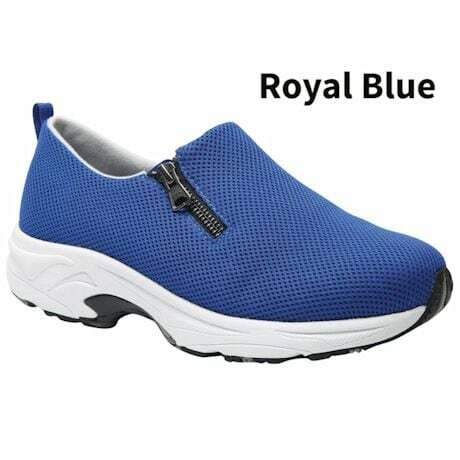 The mesh upper doesn't squeeze toes or put pressure on painful bunions, and it offers superior airflow to keep feet cool, comfortable, and healthy. Removable polyurethane insole has a Drilex® lining for moisture control and the soft fabric lining pampers sensitive feet. Heel height 1.5". Imported.